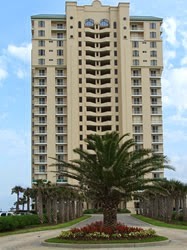 The Beach Colony Resort Condominiums, located on the Florida Gulf Coast on Perdido Key, is a barrier island featuring white-sand beaches and emerald waters. The community sits among the pristine beaches of the Gulf of Mexico near the several public beaches and recreation areas, including: the Gulf Islands National Seashore, Perdido Key State Park, Big Lagoon State Park.. The emerald waters, gentle surf and light breezes make this area ideal for owning a vacation home, second home or investment property. The Beach Colony Resort amenities include two outdoor pools, an indoor heated pool, an exercise room, sauna and steam rooms, hot tub/spa, tennis courts, and private beach access via two boardwalks. Buy a beach rental and spend your vacation here, or buy you second home and relax and enjoy the tranquil natural beautiful Gulf Coast. Perdido Key offers an escape to nature, with the convenience of shopping/dinning and entertainment - start enjoying the coastal lifestyle.